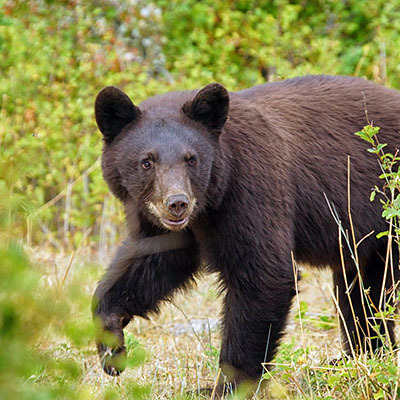 Climate change threatens many wildlife species across the Pacific Northwest. As the climate continues to change, wildlife managers are faced with the ever-increasing challenge of allocating scarce resources to conserve at-risk species, and require more information to prioritize sites for conservation. However, climate change will affect species differently in different places. In fact, some places may serve as refuges for wildlife—places where animals can remain or to which they can easily move to escape the worst impacts of climate change. Currently, different datasets exist for identifying these resilient landscapes, known as climate refugia, but they are often not readily useable by wildlife managers. To address this need, researchers will map the locations of potential climate refugia for wildlife species in Oregon, Washington, and Idaho. They will do this by synthesizing the existing datasets and adding in information on the locations of different species and their habitats. Researchers will work closely with wildlife managers from these three states, as well as with a broader group of federal, tribal, and non-governmental organization wildlife managers and planners, to select wildlife species of interest and design a digital atlas of climate refugia maps for each species of concern. The resulting refugia atlas will allow natural resource managers and planners in the Pacific Northwest to identify specific areas where a given species of interest may be more likely to persist as the climate continues to change. This information can then be used, for example, to concentrate habitat restoration efforts in areas where a species is more likely to persist into the future.